I remember the day Goldie was born and became part of our family. She was the most beautiful horse in the world and the most loving. If I lay down in the backyard she would come and lie next to me. She even tried to come inside the house one day! 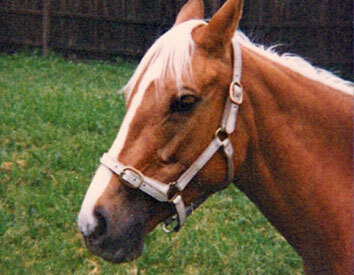 Goldie had her own mind and often made it difficult for me to do up the girth when we were to go riding or would do a little buck just to let me know her thoughts. Her loyalty though was never in question.